I'm always excited to check out the latest arrivals at Marshalls - every time I step into that store I come out with armloads of designer goodies at ridiculous discounts. So when I was asked to once again review the current fashions available at my local Marshalls, I jumped at the opportunity! Especially because this time there's something in it for my lovely readers too... read on! 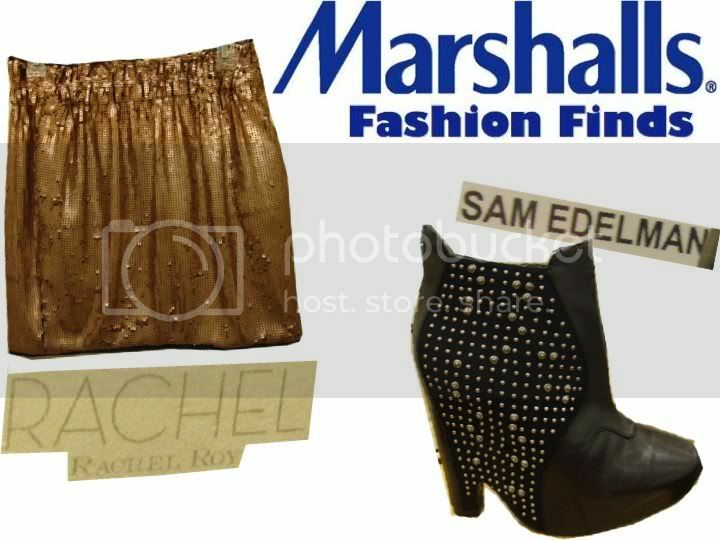 Within an hour of arriving at Marshalls, my cart was filled with labels like Joe's Jeans, French Connection, Sam Edelman, and more! 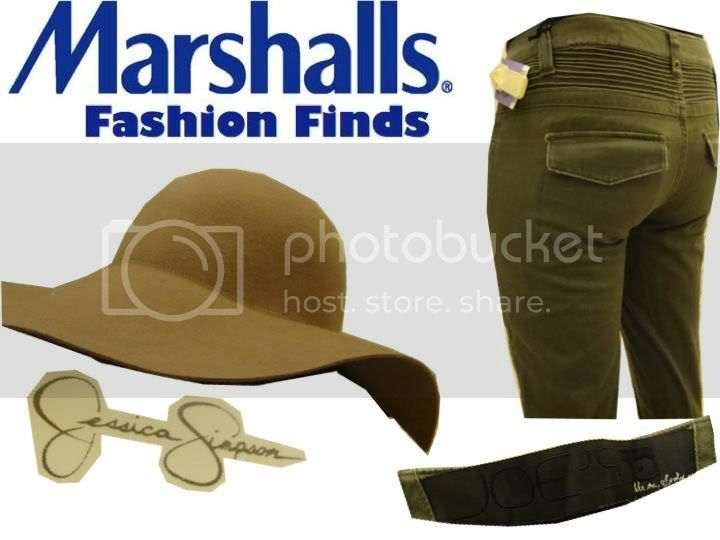 The Fall fashions have definitely arrived at Marshalls, and I spotted aisles of over-the-knee boots, wool and leather jackets, winter hats and scarves, and even Halloween costumes! In my next post I'll show you what I ended up buying at Marshalls that day, but right now I want to get into the fun stuff! 4. Tweet about this giveaway - be sure to include a link to this post and @BreakfastatSaks in your tweet! Please leave a separate comment for each of the extra entries you complete. This giveaway will run for 2 weeks, and I will announce the winner Thursday, November 11. Good luck everybody! And stay tuned for my TJ Maxx review! The best find I made at Marshalls is a faux fur vest. 2 actually. I even posted about them. I love Marshalls, I also got some great nickknacks for my apartment there. I love Marshalls because they are always on trend and affordable! Check out my post below its the best deal I've found at Marshalls! i hope i win!!! haha! and i'm following tjmax and marshalls on twitter also! I have found some great toy deals there. The last one was a Lego Star Wars book that I have been wanting to get for my nephew for some time. It was $8 less than anywhere else I've ever seen it! To name one great deal I found at TJM- one pair of 7 for all mankind jeans for $15. My favourite are the green items. Ohh loving those sam edelman shoes!!! Why don't we have Marshalls in Europe!? tnx for your comment, following u! Oh man, I visit Marshall's and TJ Maxx far more than I should. My best deal was a pair of Giuseppe Zanotti heels for only $50! And I follow you on Google Friend Connect. And I follow Marshalls and TJ Maxx on Twitter! Hope you have a good day, Ashley! The Sam Edelman boots are gorgeous ! Great finds!! My best was a Theory dress for $29!!!! WAHOOO! Love the boots They look so sofsticated!!! One of the best deals I ever scored from TJ Maxx was a sweater coat. I purchased it over 3 years ago and it's still in awesome shape and well worth the $20 I spent on it. I'd love to win this for Christmas shopping. Years ago I got a good deal on a purse at Marshalls. I have a few TJ Maxx/Marshalls stories of amazing deals, but my most recent one was a grey Calvin Klein sweater dress. It was only $50, which was half-off! And I love it! I am already a follower on Google Friend Connect! I love finding clearance board books at both places for $0.50-$3!! it rocks!! I LOVE both stores. I found a pair of Cole Hahn shoes at a great price and a BGBG bag that I carried for years. The best deal I scored at TJ Maxx was a turquoise Kenneth Cole handbag ...I love that store! I recently found a Nike workout top at Marshall's for just $19.99! everything looks amazing!! i want!! I found a think down Columbia coat at Marshals last season for $50 - and I know it's suggested retail value was over $150! I've found some super cute sweaters for 75% off retail or less. Love TJMaxx! I found great Dolce Vita knee high boots and a Cole Haan leather jacket! And now I'm following TJ's and Marshalls! The best deal I ever found at Marshalls was my wedding shoes...for a whopping $15!! It was so perfect and everyone loved them! LOVE Sam Edelman Zoyla boots !! Best find so far was either my knee-high, platform Frye boots or my favorite handbag by Ted Benson (not a HUGE designer, but I get so. many. compliments. on it). Cool giveaway! I once found some Ice Cream sneakers for like $40! I didn't get them though, lol. I don't have Marshall's in my state, but TJ Maxx is my favorite store! I found a Dooney & Burke handbag for $40 at my local TJ Maxx a couple of months ago. My mother-in-law loved it! I would love to win this! I don' thave a lot of clothes so this would definitely help with my fall wardrobe. I've only been to Marshalls once (sad, I know) and scored a 4 pack of Betsey Johnson socks for only $6! Great finds! I love every piece!! I don't think I'm eligible but awesome give away!! I love the rachel roy sequin skirt, she has the best stuff and its totally affordable. Great piece for the holidays/winter! The absolute best deal I found at TJ Maxx was a chic, shiny Nicole Miller top for only $19. It looks fabulous with the black military jacket I also scored for $24.99! Love the deals you found! I once found the most perfect, classic little black Calvin Klein dress at Marshalls for $20! That Tahari Tunic is absolutely gorgeous! Hmm, let's see... I've shopped at both stores so often I don't even know where to start! I'd say the best deal I've ever gotten at Marshall's was one of my recent buys - Michael Kors sunnies! I am absolutely in love with MK and all of his designs so when I saw them, I instantly fell in love and then realized I didn't have the kind of money to buy things from any of his lines. Of course, I checked the price tag next, and nearly fell over in shock - $19.99! GOSH I was so excited that I marched right up to the register with my other gathered items and plunked them down (gently!) on the register and was absolutely beaming! I can't get enough of Marshall's so with my sad little part time job earning minimum wage, I'm entering as many times as I can! I was also already following Marshalls and TJMAxx on twitter, as well! The best deal I got at TJ Maxx or Mashall's, were these jewlery manniquens for my friend's birthday. They were like $30-40 elsewhere and I found ones that were nicer at Marshall's for only 10 bucks. Now that is a deal. marshalls seriously will randomly have some of the best finds! it requires a whole days worth of committing to searching and digging through racks and aisles of clothes. I also already follow you on twitter! Following both Marshalls and TJ Maxx on Twitter now! We have great cutlery from Marshall's that we got at super duper deep discount and later saw in Bed Bath and Beyond for 100 more! Best fashion purchase was a pleated leather skirt by a designer I didn't recognize, marked down from $170 to $40, but my favorite purchase was a set of serving bowls, white porclain with a large Japanese symbol at the bottoom. Havent been to either store in a while, but a few years back i found some amazing Steve Madden heels for only $15! love them! I got a great bomber jacket at Marshall's for $15, and a beautiful Kathy bag for $20! That store has the most amazing finds! I've never been to TJMaxx, but I do love their commercials. My best deal at TJ Maxx was a suit that retailed for $320 and it was on the sale rack for $29.99. I've been a HUGE Marshall's shopper for well over 10 years. I'm a real fashonista on a budget. My favorite phrase is, "I have champaign taste on a water budget". I have to say my most self gratifying trip to Marshalls was when I had only $100 to get my two boys all of their clothes for Christmas. I walked away with all sorts of name brands, my boys looked so FRESH and not cheap AT ALL! How many outfits do you think I walked away with?? SIX for each boy!!!! I couldn't believe it myself, yes SIX each. After that trip I ALWAYS get their clothes from Marshall's all the other store don't compare. Thanx to Marshall's, my family stays looking fly without bleeding mommy's pockets. Love Marshalls!! 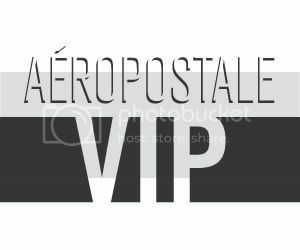 By the way, no one knows I shop at Marshall's, I guess people just assume that because I wear all name brands that I must be a mall rat.lol!shhh our secret. I found Diesel jeans at Marshalls once for $15. I follow Marshalls and TJ Maxx on Twitter as "calidreamin87"
I follow you on Twitter as "calidreamin87"
I found a $360+ Betseyville bag on sale for $54! I follow Marshalls and TJ Maxx on Twitter- @giveawaygirlie. I follow you via GFC under malkatz. After seeing all these amazing deals I NEED this gift card! I totally wanna check out Marshalls/TJ Maxx.